Olympique Marseille heaped more misery on a struggling Chelsea side by defeating them 1-0 at the Stade Velodrome. Brandao scored the lone goal in the 81st minute denying the Blues the chance to win all six games in their Champions League group. Ahead of the match, Carlo Ancelotti called for his side to show confidence and return to the style of football that led to destruction’s of Wigan and West Brom. What his team gave him was an uninspired performance, riddled with moments of complete mediocrity. Naming a side that included just one youth player, Josh McEachran, and with Ramires having fewer international caps, 19, than any other player in the side; Chelsea looked disjointed and disinterested, looking like a shadow of the team that won the Double just last season. Evidence on how things can change in a year, the opening moments of the match proved that Marseille were the better team on the night. Just six minutes in, Matheiu Valbuena’s deflected cross found Loic Remy unmarked at the back post, but completely missed the volley and the first warning signs were there to see. Just two minutes later, Benoit Cheyrou fired wide with a wide-open volley over the goal. In the 10th minute, Valbuena had two more great opportunities, first rattling the crossbar with a shot from 20 yards that left Cech beaten. Seconds later, he could only put his diving header wide from a Cheyrou cross. 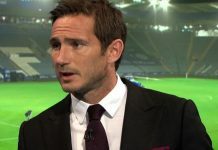 Chelsea believed they had a chance to make Marseille pay for their early misses in the 15th minute when it appeared that Souleymane Diawara brought down Florent Malouda in the box and referee Vladislav Bezborodov pointed to the spot. However, he was immediately surrounded by the Marseille players and changed his mind, awarding a corner instead. Gabriel Heinze thought he had scored the first goal of the contest in the 35th minute when he headed home unchallenged from six yards out. However, the linesman felt he was offside and was denied the goal. The former Marseille player Didier Drogba should’ve put the visitors ahead in the 33rd minute as Jose Bosingwa found space down the right side and cut the ball back to the big striker, but Drogba’s touch left him and his shot was quickly blocked. Just before the half, Salomon Kalou broke through in the penalty area, but got his positioning all wrong and fired harmlessly over the bar. After the half, the contest fizzled out with Chelsea still looking slow and lethargic, but defending well enough to keep Marseille’s chances to a minimum. Drogba was withdrawn because he was ineffective and left to a rousing ovation from his former club supporters. Those would be the only ovations for Chelsea coming from the crowd as Taye Taiwo’s deflected cross fell to Brandao and the striker was able to prod home from six yards. It was no less than Marseille deserved, while Chelsea will be wondering how it all went so wrong. Next articleTHINGS NEED TO CHANGE – A RALLYING CALL FROM THE SIDELINES!